Since it was first detected hurling through our Solar System, the interstellar object known as ‘Oumuamua has been a source of immense scientific interest. Aside from being extrasolar in origin, the fact that it has managed to defy classification time and again has led to some pretty interesting theories. While some have suggested that it is a comet or an asteroid, there has even been the suggestion that it might be an interstellar spacecraft. 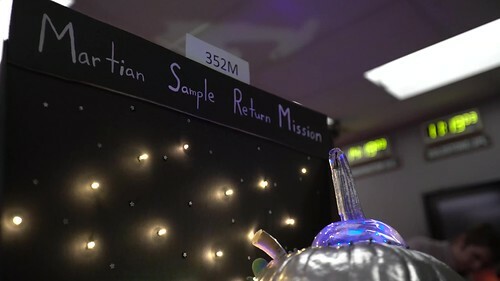 However, a recent study may offer a synthesis to all the conflicting data and finally reveal the true nature of ‘Oumuamua. The study comes from famed astronomer Dr. Zdenek Sekanina of the NASA Jet Propulsion Laboratory, who suggests that ‘Oumuamua is the remnant of an interstellar comet that shattered before making its closest pass to the Sun (perihelion), leaving behind a cigar-shaped rocky fragment. Every workplace should have this much fun! 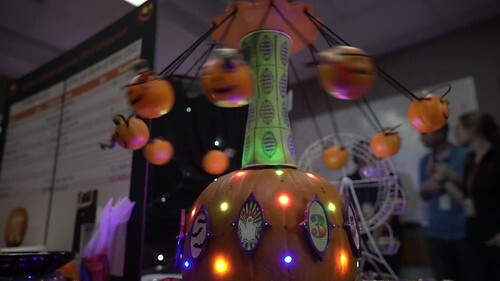 A group of engineers at the Jet Propulsion Laboratory held their sixth annual pumpkin carving contest, and this year’s entries did not disappoint. 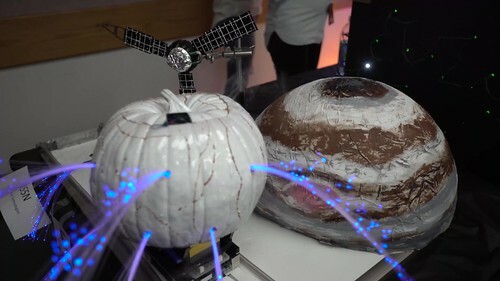 Using a combination of engineering savvy and creative license, the JPL engineers carved up several different types of themed pumpkins, including a cow abduction by aliens, a geyser-spewing Europa, unique depictions of several different space missions and much more. Halloween is actually a special holiday at JPL because October 31, 1936 was the beginning of JPL’s history, when several grad students studying at Caltech and some amateur rocket enthusiasts drove out to a dry canyon tested out a liquid rocket engine. To celebrate JPL’s 80th anniversiary, here’s a link to a gallery of images pairs that shows vintage views from JPL’s history with images that show what the lab looks like today. A pale pumpkin Europa, complete with geysers. Behind it, Juno orbits Jupiter. 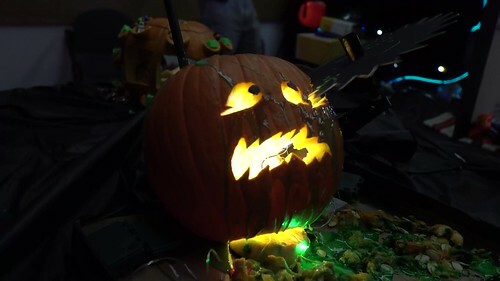 JPL’s Starshade was turned into a chainsaw massacre.